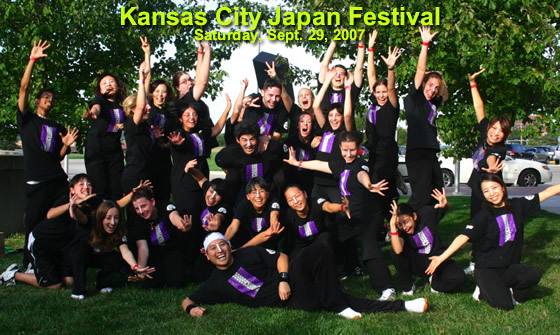 KSU Japanese Yosakoi Dance Club is scheduled to perform at the 2015 Greater Kansas City Japan Festival on Saturday, Oct 3, 2015. Invited and performing are some past members of Yosakoi since the club was founded by Seiki Ikeda in the spring of 2015. This performance will be our 10 year reunion and finale. Please come and join us in our celebration!